I can't begin to tell you how happy this photo shoot makes me! Being able to document a new life being brought into the world is truly a gift and when you get to watch that child grow and you document her first year, well that's just gravy! Children grow up so quickly and they change so much in their first year of life, I always recommend you take photos of them every 6 months or yearly to document their ever changing expressions and their unique personality as they grow! It's so much for to look back as your kiddos get older and reminisce on how tiny they were. Photos bring back so many beautiful and funny memories! It is such a gift to be able to document these beautiful moments and milestones for families and I get to call it "work"! 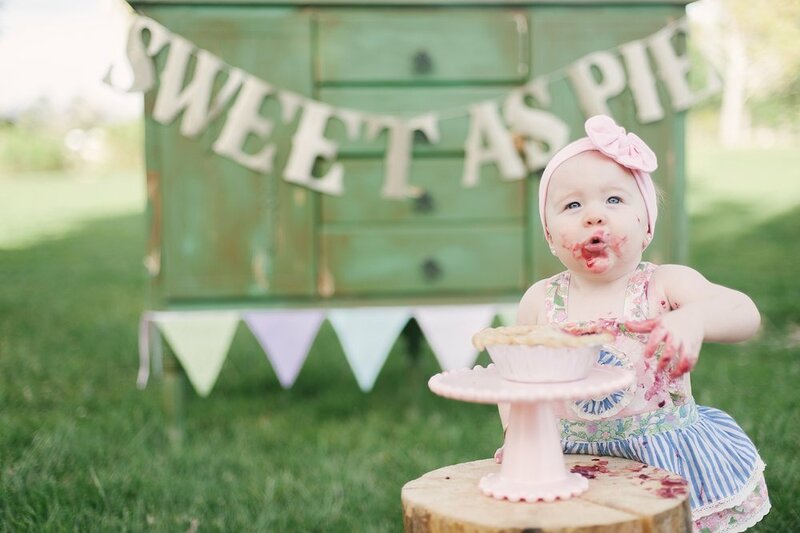 I had so much documenting this twist on the "cake smash". 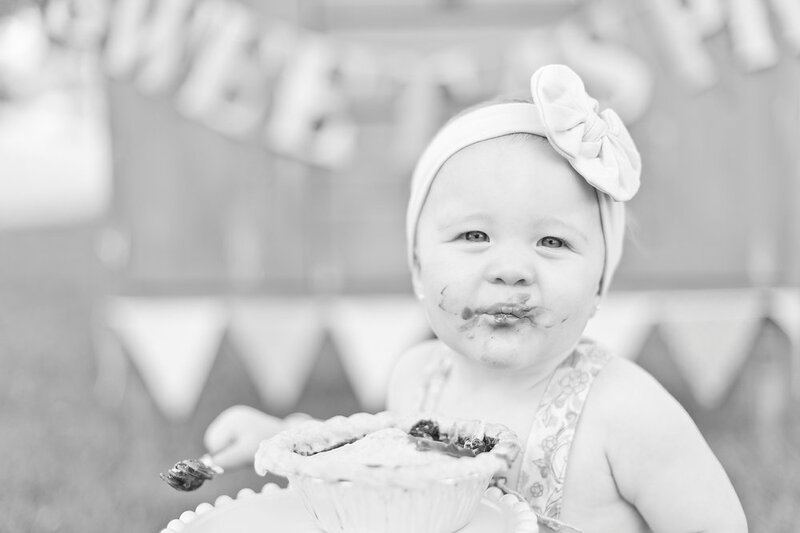 I loved how at the beginning she wasn't too sure what to do, but once she had a taste of her pie, she was all for it!